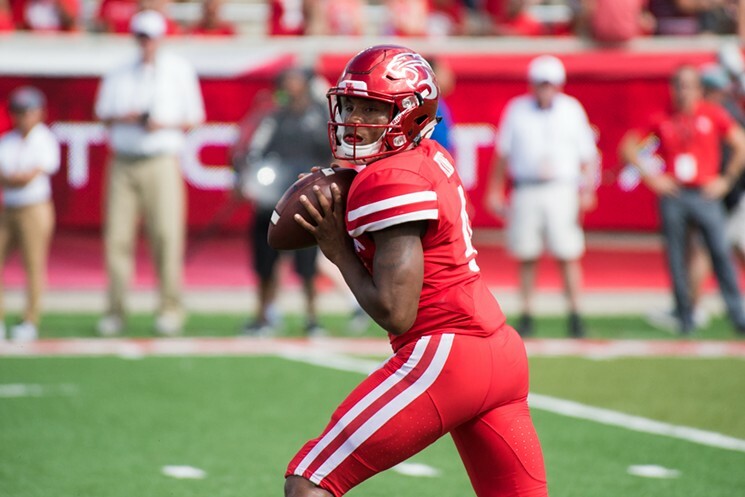 CFBDynasty ranks the best Quarterbacks for the 2018 College Fantasy Football season. These are our pre-spring rankings for a standard league which are certain to change multiple times before our final college fantasy rankings before the season begins. Check out where some of these players landed in our first Pre-Spring Mock Draft. 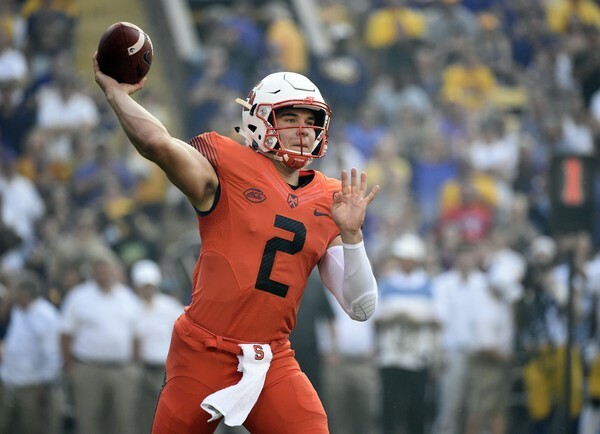 The numbers will suggest that Eric Dungey is projected too high, however Dungey did miss the final 3 games of last season. He’ll also be entering his 3rd season under HC Dino Babers, known for his high octane offenses. The tough schedule doesn’t help his draft position. D’Eriq King was able to fill in very nicely last year for the injured starter. He’s got excellent dual threat ability and could have a monster season in 2018. 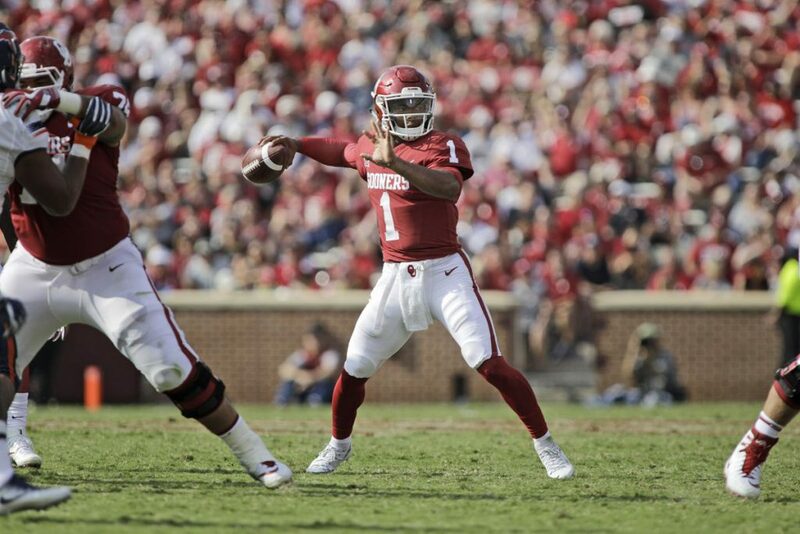 It’s always tough to replace a great player, but Kyler Murray has a great opportunity stepping into an offense that perfectly complements his skillset. He has great support at running back along with some very talented receivers and tight ends. He can easily rise up this list with a great spring/fall. 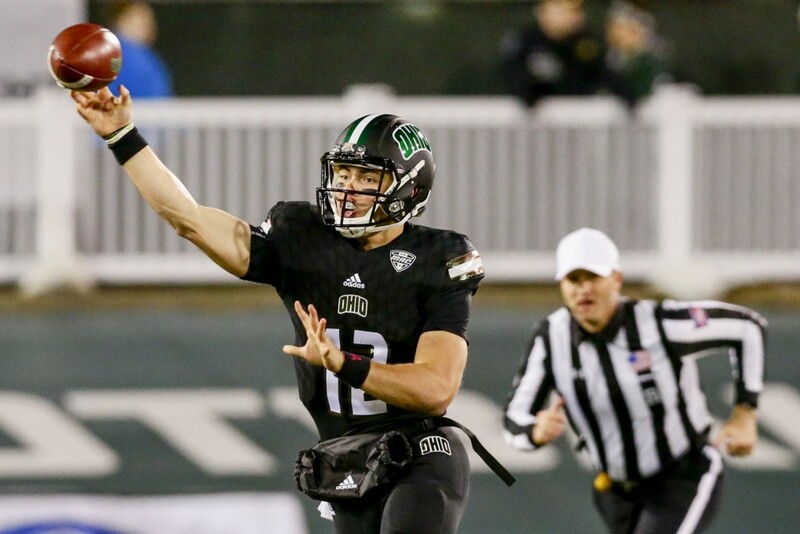 Nathan Rourke completed a fantastic first season as the Quarterback of Ohio. The dual threat QB has an easy schedule including favorable matchups in the fantasy playoffs. 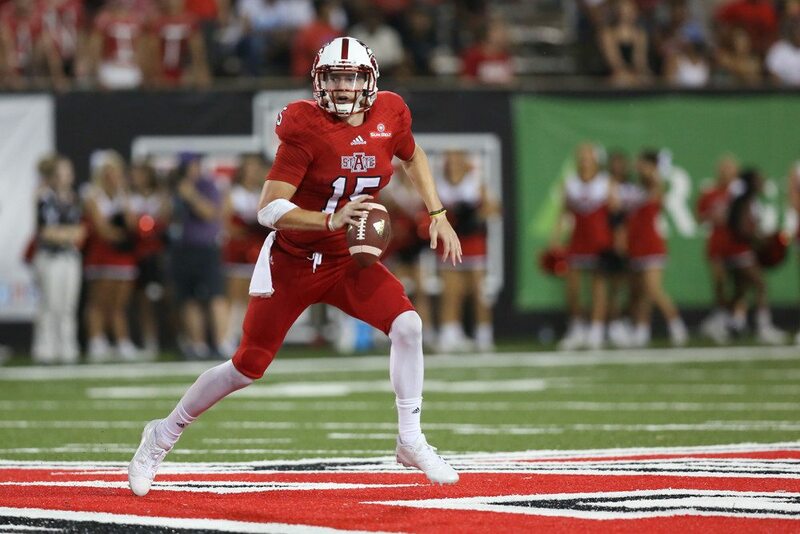 Texas Tech always features one of the top Quarterbacks of college fantasy football. HC Kliff Klingsbury claims there’s a 3-man battle between junior McLane Carter, sophomore Jett Duffey, and freshman Alan Bowman. 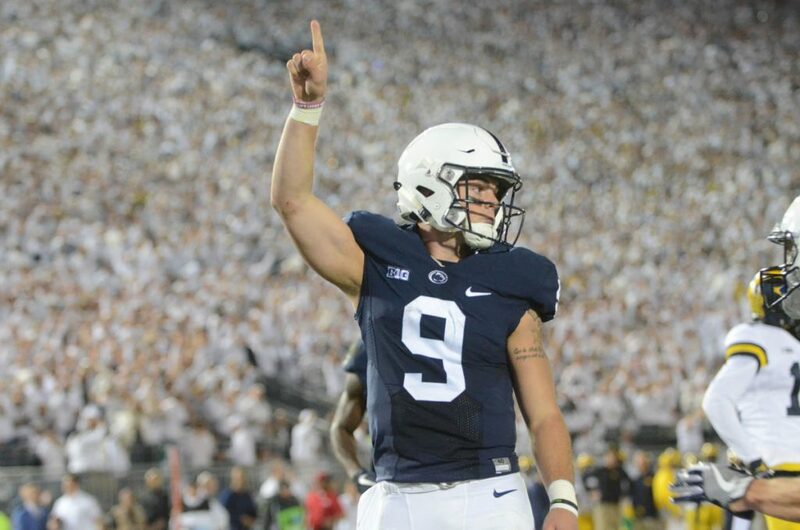 Trace McSorley has had back to back great seasons at Quarterback for Penn State. With Saquon Barkley leaving for the NFL, PSU may rely more on McSorley who can really frustrate defenses with his excellent ability to run and pass. PSU has a great set of WR’s for 2018 but will have to replace his 3rd down target at TE. 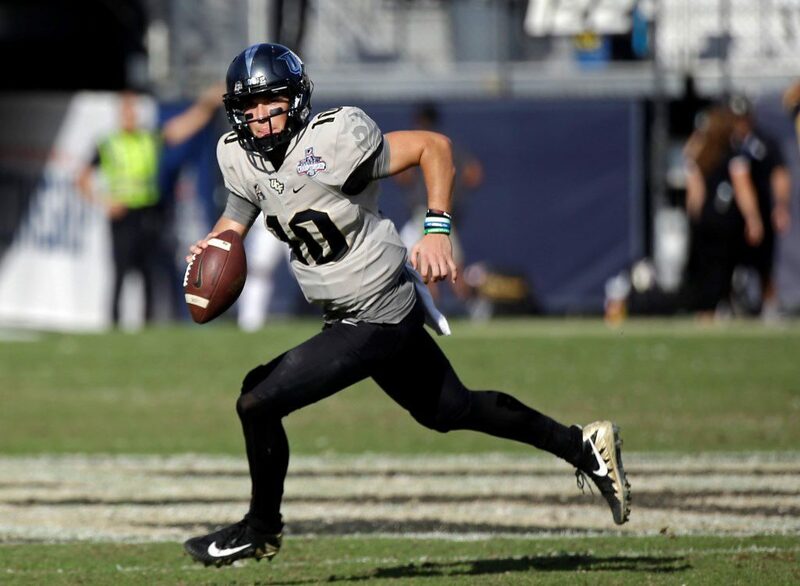 McKenzie Milton had a great 2017 season which ended undefeated. 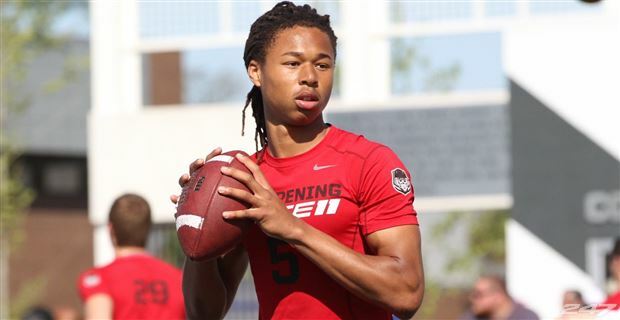 He loses his HC Scott Frost to Nebraska but he’ll be able to carry some good momentum into 2018. Milton has a couple sneaky-tough games in the fantasy playoffs. You never quite know what to expect against Navy and @USF is typically a challenge. Will Grier returns his top pass catchers in David Sills and Gary Jennings. 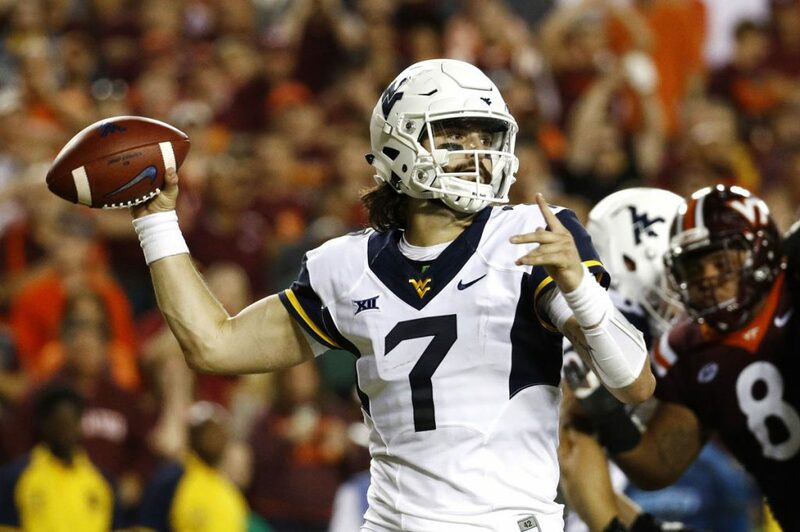 He’ll continue to roll up big numbers, especially during the middle of the fantasy football season when WV matches up against Texas Tech, Kansas, Iowa State, and Baylor consecutively. Justice Hansen will have a great opportunity to exceed his excellent 2017 campaign. He will only play two defenses that may cause fantasy owners to start the backup, when Arkansas State plays Alabama and Appalachian State. 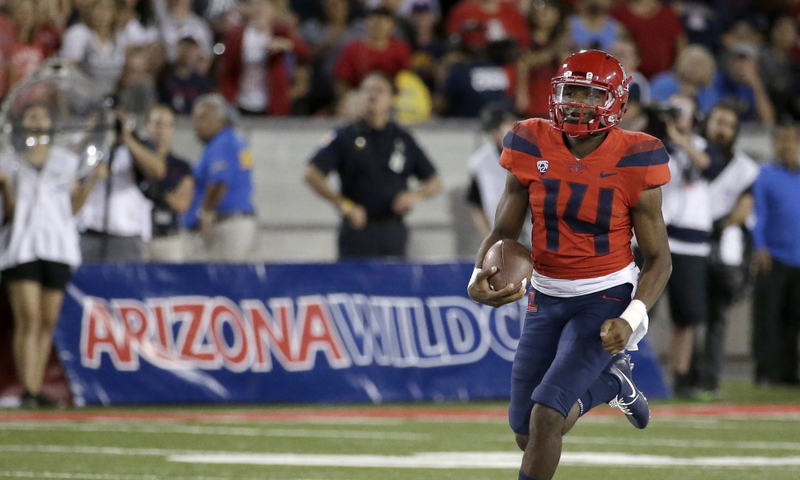 Khalil Tate broke into the college football scene with a bang during the 2017 season. The Sophomore took over full time on the road in a big win at Colorado 45-42. Tate was 12-13 with 154 yards through the air and one touchdown. He added 327 yards on the ground with 4 touchdowns. Not bad. Now Kevin Sumlin takes over as the HC, we should continue to see this dynamic athlete improve in 2018. Malcolm Perry takes over as the starter for Navy this season as Zach Abey has moved to receiver. He erupted in his 3 starts last season, and could easily be a top fantasy QB this year. CFBDynasty is run by college fantasy veterans and will keep live college fantasy football rankings, cheat sheets, lineup advice, news, and weekly waiver wire gems for the true champions out there. College Football Never Stops. Win your league with CFBDynasty.